Here’s why vaccines are unnecessary: They are merely given purportedly to immunize against or shall it be said ‘prevent’ certain diseases, most of which are rarely fatal in first world countries. These are mostly transitory viral conditions. There are safer, less invasive answers. Wild oregano oil is the key alternative. If it is from a truly wild source, then, it can be taken aggressively: as much as needed. Yet, for the typically immunized conditions only a modest amount is necessary, for instance, for chicken pox, measles, and mumps: like a few drops several times daily. Yes, some very big claims are being made here, and when we have been told for so many years that diseases are only prevented by vaccines, this may be incredulous to believe. However, could there be a lot of truth to this? Are vaccines the only answer for keeping infectious diseases, viruses, bacterial infections and super bugs at bay? The industry is predicted to be worth 61 Billion – and that is regarding its profits – by the year 2020. Could there be something far more effective, which is safe when used correctly and doesn’t cost much money? Could there be something we can use at home that has zero risk of death? Vaccines certainly don’t offer us that, as death is actually a listed possible side effect on vaccine inserts. We must also ask, with all of our medical ‘advancements’ and the amount of drugs that people are taking, why then, is our world full of incredibly sick adults and children, who are predicted to not live as long as their parents do today ? We can now easily say that most people today do not have ‘real health’ so what we are doing for most on the planet today, is simply just not working. Our future is in real danger collectively, and the shocking rise of cancer and auto-immune disorders that have seemed to happen to us very fast – too fast for it to be blamed entirely on ‘genes’. A growing body of scientists, doctors and parents, say that vaccines are not the answer to keep people disease free, and are instead overloading our immune systems and causing poor health. Were Dirty Living Conditions The Main Reason People Died Of Disease? We can look at history and see how people lived back in the 1700 – 1900’s, when they did die very young. Many infants died at birth and those that did survive, often did not make it to adulthood. If you take a look at old photographs (below), many people back then lived in cramped, dirty conditions with far too many living in one tiny cramped room. Some of these rooms had none, or barely any, sunlight coming in, and their lavatories were often overflowing with human waste. However, most historians feel that improvements in living conditions, particularly improvements in the diets of the lower class, may have had an even greater impact. Improved nutrition kept people healthier. The introduction of the potato helped lengthen life spans. The potato provided peasants with a cheap, healthy, mostly dependable food that became a staple in many of their diets. In addition, more knowledge about hygiene and public sanitation lowered death rates, especially in the cities. Regarding small pox, it’s interesting to know that London’s first public green, Victoria Park, was developed due to fears diseases would start spreading out from the slums (where the inhabitants did not get much fresh air) to the areas where the wealthy lived. “A park would diminish the annual deaths by several thousands, and add several years to the lives of the entire population,” claimed sanitary reformer William Farr. I don’t think anyone would deny, that those poor, cramped and dirty living conditions would not have been at all ‘healthy’. Those conditions are very much like the third world of today, where the average person does not have access to running water, clean houses, toilets or adequate food, and are often also living close to so many other people who live in the same dirty conditions. It is why these third world countries still have high rate of deaths due to disease. Today, many of the public aren’t aware that the alarming death rate figures from disease they hear about are often used to scare people who live in first world countries into believing these diseases really are still a huge problem for all of us, and that they should only rely on vaccines to stay healthy. Scare tactics often get people to comply with an agenda. However, with more and more people choosing not to vaccinate themselves or their children, it’s still very wise to never ignore the fact that disease and viruses can indeed be a very serious problem for some. Therefore, we have to know, what can we take that is effective for keeping disease, viruses and superbugs at bay? I am now going to share with you the wonderful benefits of using wild oregano oil as a medicine, which actually has a very long history of use throughout the ages. You may be comforted to know there is a lot of science (interestingly, some research carried out by the FDA, USDA and even the Pentagon) to back up what I am about to tell you. My aim is to make people aware that this is oil a must have for your own first aid kit and that you don’t need to fear disease, viruses and super bugs if you know what it has been proven to do and how to use it. I also want to introduce you to the brilliant work of Dr Cass Ingram, an osteopathic physician, who has been a pioneer in the field of Wild Oregano Oil. There seems to be no one alive today, that knows more about wild oregano than he. If the world started using this oil to treat their health conditions, and if hospitals also started using it, we would change the face of medicine and health of the world, literally over night. This is why this miraculous substance, is quite possibly the biggest threat to Pharmaceutical Companies, so I bet they do NOT want you learning about what this oil can do. Drugs and vaccines included all have side effects, with some being deadly, whilst oregano oil has killed not one single person. 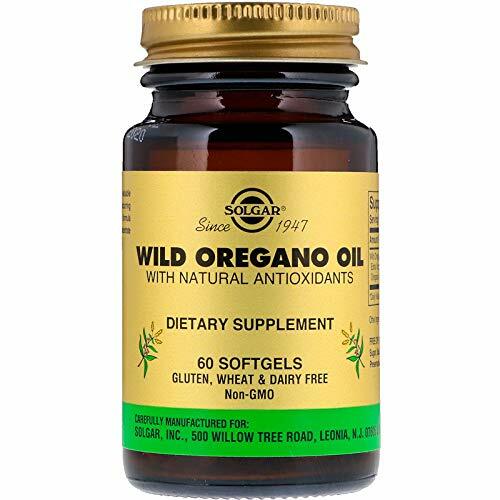 With the pharmaceutical industry being worth many billions of dollars each year (sometimes that profit is just for one medicine alone), a bottle of good quality wild oregano oil can set you back approximately $30 dollars and may last you a few months. It literally has an A-Z of uses, which means it would stop you from needing to spend money on other medicines. Compare this small price, to that of the high price of drugs today (the market exceeded 1 Trillion dollars in 2014) and we can see why the drug industry does not want you to know about this natural medicine. I am going to show you that wild oregano oil can be used to treat whooping-cough, meningitis, the flu, fungal infections, tropical diseases, respiratory issues plus a lot more. At the bottom of this article you will find a helpful guide on how to use the oil for children of different ages and for adults. I know, this is a long article, but I want you to see how much evidence there is for using wild oregano oil. This is very concerning indeed, but what is most concerning is that it does not have to be this way. We have an affordable and highly effective solution at our fingertips. MSRA, a type of bacteria known as a ‘superbug’, can prove deadly in some people, is now resistant to antibiotics. Worryingly, many people actually develop this whilst they are in hospital where they were admitted for other health reasons. It’s comforting to know that Oregano Oil (and it’s component carvacrol) has been shown in numerous studies to wipe out MSRA. Scientists at the University of West Of England said it contains powerful anti-fungal and anti-bacterial properties and has a long list of medicinal uses. Tiny doses (less than 1 -1000) were shown to wipe out MSRA. With this information, why then have hospitals globally not jumped at the chance to use oregano oil instead of continuing to use expensive antibiotics that just don’t really work well and are actually causing deaths in some cases? It is estimated that 50,000 people in Canada and the USA alone die each year from MRSA. If things keep going the way they are, some estimate MRSA could kill at least ten million people by the year 2050. It begs the question, is the medical industry really doing the best it can for people? Wild Oregano oil wipes out ALL bacteria. Georgetown University showed in a study that oregano oil wiped out five tough bacteria’s such as staph, klebiella, mycobacterium, E.coli and even anthrax! Where are the studies showing that antibiotics do that? Italian researchers found that oregano oil killed 13 types of bacteria’s. Meningitis is one of the most feared infections a parent tends to be most concerned about their children getting. Whilst meningitis can be viral, fungal and parasitical, the most serious kind isbacterial meningitis. Meningitis often first appears as a cold or flu, and for some children (and adults) it can then turn into something very severe, and fast. It is very important therefore to look for signs and seek help fast if needed. However, it would perhaps be wise to always use wild oregano oil when your child is showing signs of a cold, to help stop it from turning into something worse. The Neisseria strain of bacteria is thought to cause meningitis and oregano oil has been shown to destroy it. To show you how powerful pure essential oils in general are, lemon oil has been shown by french Doctors to destroy meningitis in just 15 minutes. For many parents, even the ones who have decided not to vaccinate their children, pertussis – which is known more commonly as whooping-cough – is one of the diseases they are often very concerned with and also very fearful of. It can certainly be serious in already unwell infants, and if you have ever seen any videos of babies suffering from whooping-cough, it is quite distressing to see. However, with what we know about antibiotics which are failing, and causing further health problems, could the treatment of whooping-cough be a lot more effective – or could it even be prevented by the use of oregano oil? Whooping cough gives those affected a very dreadful thick mucous cough. Oregano oil can break down mucous as it’s a natural decongestant and antihistamine. Whilst some natural doctors say that infants must not use oregano oil, Dr Cass Ingram says as long as you use a wild crafted, edible oil, and use it correctly it is completely fine. visit this link for advice on how to use oregano oil for whooping-cough. Because our world is so polluted these days, it seems lots of people often suffer with chest infections that can last for weeks. I see it everywhere and can tell by comments on social media, that it seems to be affecting people all over the world. Oregano oil is one of the best things for chest infections and other respiratory issues , including asthma. Taken internally, applied to the feet or rubbed diluted on the chest, it can work incredibly quickly, within hours, to help with respiratory infections. It’s been a terrible flu season and I have seen so many people around the world, who have been very unwell. However, despite the huge push for the flu vaccine, it simply did not give good results for keeping the flu at bay, or decreasing it’s severity. Many studies are showing that the flu vaccine, at best, is only ‘effective’ against the flu in only 10% of people. Put in other words, the flu vaccine has a 90% failure rate. However using oregano oil, offers far better results. The flu, also known as the Influenza virus is said to be ten times more virulent than that of the common cold, and requires a stronger dose of oregano oil to kill the virus. In studies with human cells, it was shown to have an effect of 99.7% of destroying the virus. Oregano oil is also a mucolytic, and is brilliant at breaking up mucous, which is one of the most annoying afflictions of having a cold or flu. It therefore helps clear sinuses and breaks up the mucous – rather than suppressing it – in a chest cough. I have personally had phenomenal results with using oregano oil this flu season and I was one of the very few people who I know of, who simply did not get the flu or even a bad cold. The trick is taking the right kind and taking it often throughout those days where you feel like something is kicking in. If the symptoms crop up again, then continue to take the oil until the symptoms goes away. Many people who don’t vaccinate themselves or their children in first world countries, often do so when they are travelling to third world countries, thinking that this is their only guarantee of not succumbing to disease when they are travelling. Travel vaccines are often given alongside several other types and this can be a very big knock to the immune system, and if anything could make one more susceptible to illness whilst away. Malaria is a huge issue globally. It is estimated that approximately 212 million cases of malaria, with close to 430,000 deaths occurred in 2015, with African countries suffering the most. Common treatment for malaria is with very strong drugs to kill the parasite that mosquito’s can carry. These drugs have risks, (including causing heart issues and death) and patients are recommended to be screened (some should have blood tests) before treatment but it’s highly unlikely this is being done throughout the third world, so it may be a fair question to ask, could these drugs be causing deaths in numbers greater than what we are told? You can also experience bad side effects from anti-malarial drugs. They are also being linked to causing depression. It’s interesting to know that Oregano oil and it’s compounds showed anti-malarial qualities, which makes sense because it’s a proven anti-parasitic substance. For malaria, neem oil also has shown impressive results in the treatment of malaria. In the third world, treatment for malaria is often with nothing, or with the malarial drugs. However, perhaps it would be much more effective, cheaper and less risky to use some of these natural oils that have far more of a positive effect with less side effects. There are many brands of oregano oil, but sadly they are not always what you pay for. Many are now being grown with GMO method, it is believed up to 30% of oils on the market are, so you really have to source a wild crafted brand. There are some studies showing that oregano oil can harm the stomach, liver and heart, but this was NOT from a genuine, wild, edible source of oregano oil. Anything that is not 100% from nature is not the kind you should use. 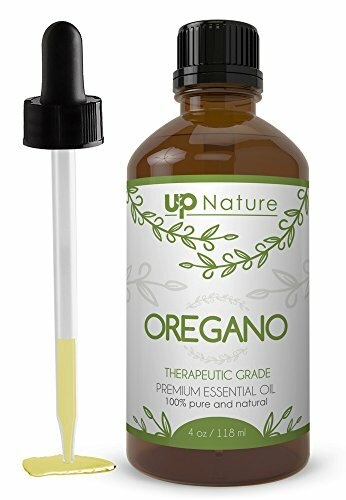 Unfortunately there are myths floating around the internet often even by herbalists and naturopaths, that oregano oil can’t be used on children under the age of 7. This is only partly true, in that it’s all about the type and quality of oil that is used. If an essential oil is not pure, has been produced with GMO methods, then of course, it is not safe for children to use. However, if it is a true edible spice oil, like that of oreganol p73, then it is highly recommended to be used for many illnesses, even on babies 6 months and up. The spice oil oregano, the true wild spice-source, high-mountain grown, is safe for all ages and is surely safe for both topical use and in tiny amounts internal use for one year-olds-plus. It has been used, traditionally, in Turkey for respiratory in children for centuries. As long the original Oreganol P73 is used, it is acceptable, safe, and is listed by the federal government, US, as GRAS (generally recognised as safe). I hope that clears up the rumour that oregano oil should not be used in children. I feel that many children are missing out on its amazing benefits because of this rumour. It’s important to also remember, that we have a medical system that says its recommended to give children many doses of antibiotics, regular doses of Tylenol, and of course, that its okay to give many multiple doses of toxic vaccines at once. They never discuss the long-term effects of these on our children. Remember: there have been NO deaths from effects of oregano oil so I hope that this puts the use of it on infants and children into perspective. 1 drop of oregano oil in milk or juice (or can be mixed with honey on a spoon to cover the taste) once per day with a meal. kids with cold or fever, rub oregano oil on bottom of feet at bedtime, 4 drops per foot. for chest congestion, cold or fever rub 3 drops of oregano oil and 3 drops of rosemary oil to a teaspoon of carrier oil and rub over the chest and throat area. Be careful child does not rub the oil into their eyes. It can sting! 1-3 drops of oregano oil in juice once per day, can be used for any number of days. for chest congestion, cold or fever, rub 3-5 drops of oregano oil with 3-5 drops of rosemary into a teaspoon of carrier oil and rub over chest and throat area. I make my own rubbing oil that I use on both of my children, as a preventive and also when they are suffering from colds etc. I use it at least twice a day when they are ill. Because of the strong smell of oregano oil, it is a good idea to add other organic essential oils like lavender to make the scent much more pleasant to children. As stated previously, be very careful of your children getting any oil on their fingers as they can then put in their eyes which will burn. Adults can use higher doses for themselves, and I would consult the book The Cure Is In The Cupboard for recommendations of how much to use. My personal favourite brand I use myself and on my family, is North American Herb and Spice Company’s P73 range. where they have many different wild oregano oil products to choose from. If you are after just the oil please click here: This is not an affiliated to CE by the way, or to myself. The company source their hand-picked oregano from its native place, high up on the Mediterranean mountains and is a true wild, and edible oil. The Cure Is In The Cupboard and The Miracle of Wild Oregano Oil, both by Dr Cass Ingram. I really hope you have found this article interesting and that it may inspire you to use this incredible oil on your children and on yourself. You can see why this oil is a huge threat to the drug companies, imagine if we all started using this instead of their products, it would cause them to go out of business overnight. Disclaimer – whilst it’s good to know that natural remedies can be incredibly effective for fighting and treating disease, bacterial infections viruses, and super bugs, a visit to the doctor may still be very important if your child, or someone in your family is affected severely by one of these. – The present condition of their immune system will dictate how well they fight off these conditions. This article was first published on March 24, 2018. Do We Know How To Cure Cancer?